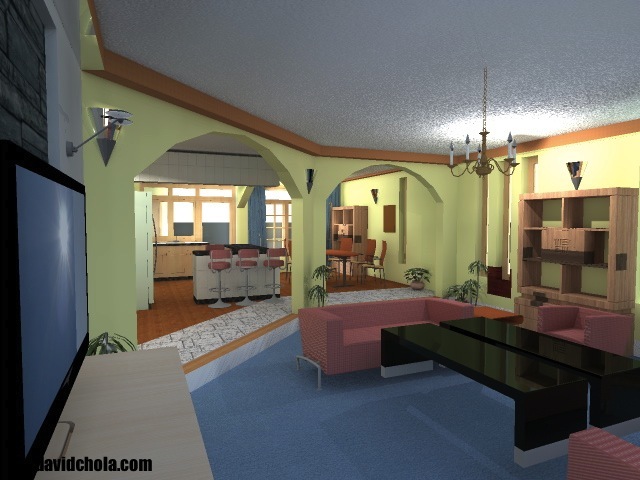 You probably have wondered where you can find well designed, economical and comfortable dream homes to buy in Kenya? There are quite a few units that you may have seen advertised in the paper, though none may have caught your fancy. Not until now that is. 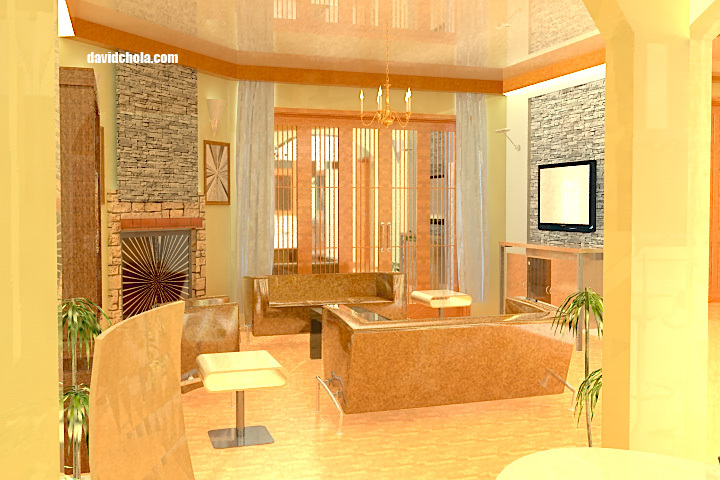 Your dream for an elegant home where you will enjoy a comfortable lifestyle comes alive at the Shania villas. 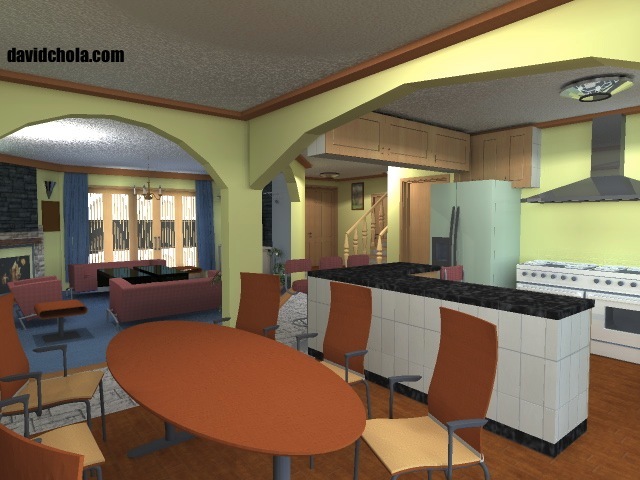 Located on the expansive plains of Syokimau/Katani area, Shania villas offer spacious living for families interested in having a comfortable environment they call home. 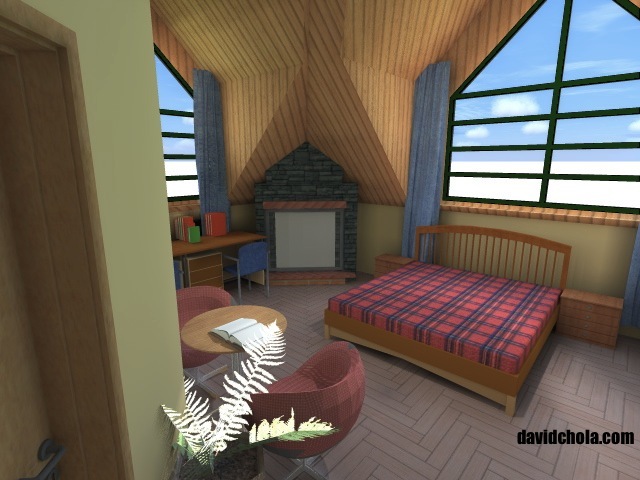 This is all within close proximity to the city of Nairobi, within half an hour’s drive from the City Centre. Dream homes are indeed made of this. Right from the organization of the property, the makings of dream homes comes to fulfillment in the creation of Shania Villas. 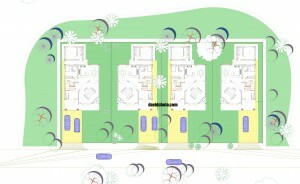 The units are located within a court setting, all within a quiet and serene setting. 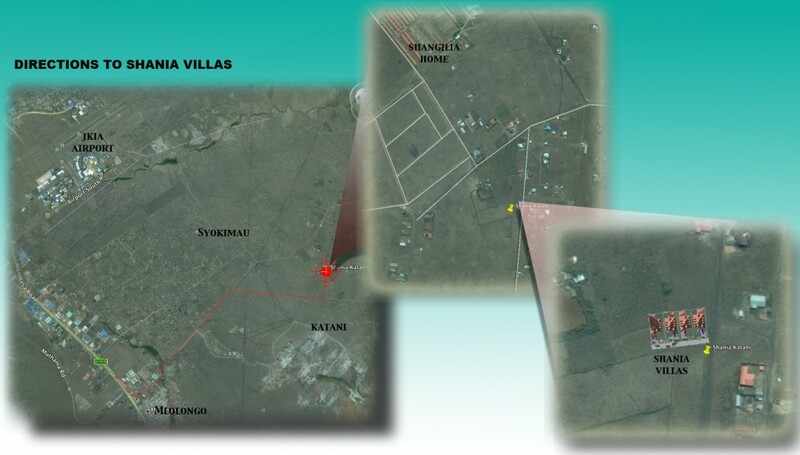 One is able to access Shania Villas from the road that passes the Greatwall apartments in Syokimau, about three kilometers off the main Mombasa Road. The area is served by all weather murram roads that are frequently graded. Access to the site is easy and secure. 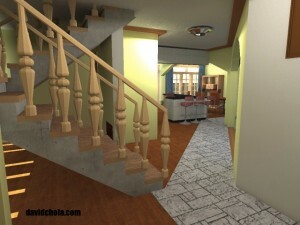 Dream homes must be ideal from the physical planning level, as well as the simple level. The property on which Shania Villas is to be constructed is free of encumbrances. Those who shall purchase property in this prestigious development shall be assured of freedom of ownership (through sectional property title), as well as being part of an overall environment that shall be well planned and controlled in character. 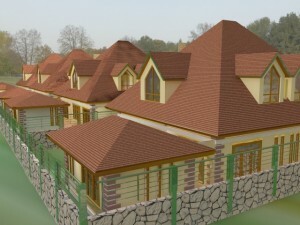 This controlled development shall result in a homogenous development that is attractive to look at, with a pleasant overall character within the gated community. 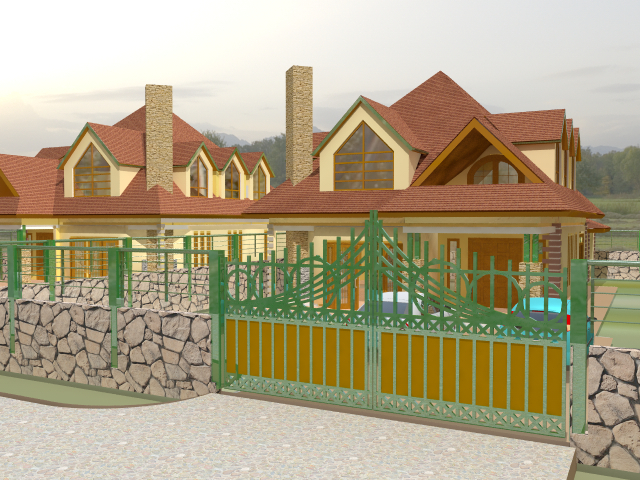 Shania Villas are designed as a gated community with each household occupying a space of one eighth of an acre. Residents will have the option of creation of walled demarcations around their properties, or have these demarcations created by use of soft landscaping and hedges. Dream homes need to show sensitivity to the locations in which they have been constructed, and having this manner of gated community shall enhance the feel of community within the area in which they have been constructed. Dream homes With A Dream Building Image. One of the things that the Shania Villas seeks to achieve is in the creation of homes which have a distinct taste and image. One of those elements that makes a distinctive signature on dream homes is a beautiful elegant form. 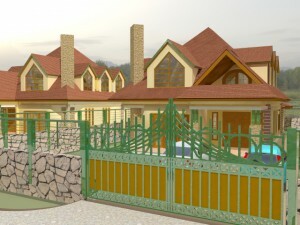 This gives an owner a strong sense of satisfaction and achievement at the construction of his or her signature home. 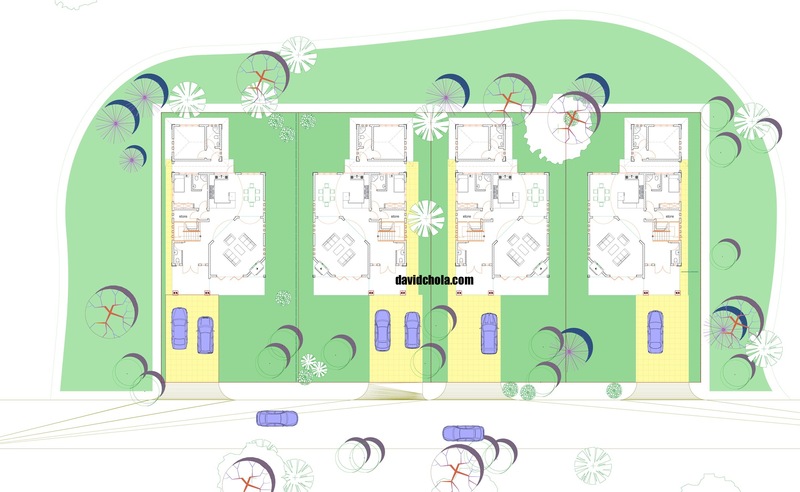 Even with the fact that Shania Villas is composed of several units in close proximity to each other, subtle changes in orientation, landscaping and customizability will ensure that each owner gets unique homes in keeping with their aspirations. 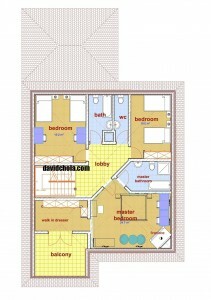 As Dream homes, What Do Shania Villas Offer? Shania Villas are developed around the concept that every home owner or buyer interested in living outside the city’s precincts is interested in a spacious environment where they can enjoy country living without feeling constrained. Such home owners may be averse to cramped conditions that we often experience in many housing estates. As such those discerning clients would prefer to seek out a comfortable lifestyle, free of space encumbrances and with great views and atmosphere. 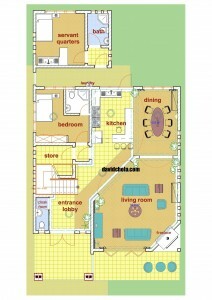 This is the living experience that residents at Shania Villas will enjoy. 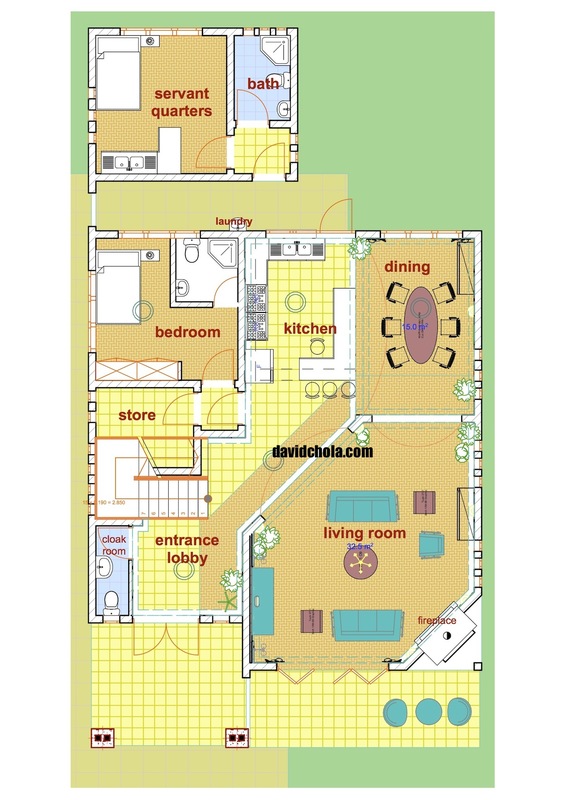 Shania Villas shall offer spacious units each sitting on generous grounds, in contrast with cramped city conditions. With a plinth area of 2300 square feet, residents shall be spoiled with an ambience of grandeur and plenty of space to suit their aspirations for comfortable living. 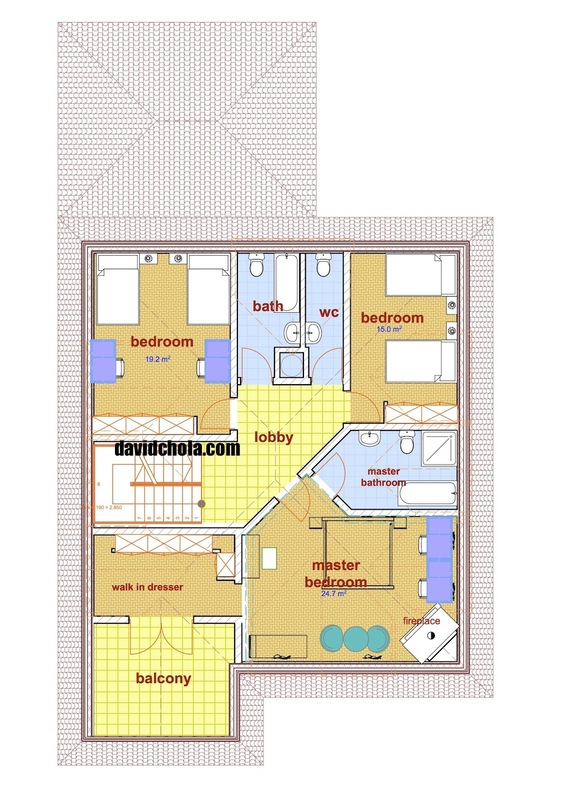 All units are fully detached and have space all around the units, to ensure that there is maximum privacy for residents. If you think that the exteriors of the buildings are anything to go by, the inside of these dream homes shall be a breath of fresh air to the aspiring home owner. At the ground level, the covered entrance porch welcomes you to the threshold of the home, and beautiful double mahogany doors usher guests into what dream homes should offer as standard. The entrance lobby opens up into a grand living space with an adjoining open plan kitchen and dining space. All the rooms are framed with huge arches, with tasteful mahogany mouldings and exquisite modern light fittings creating an ambience of modern sophistication. The open planning of the living areas and the kitchen enhance their spacious feel. 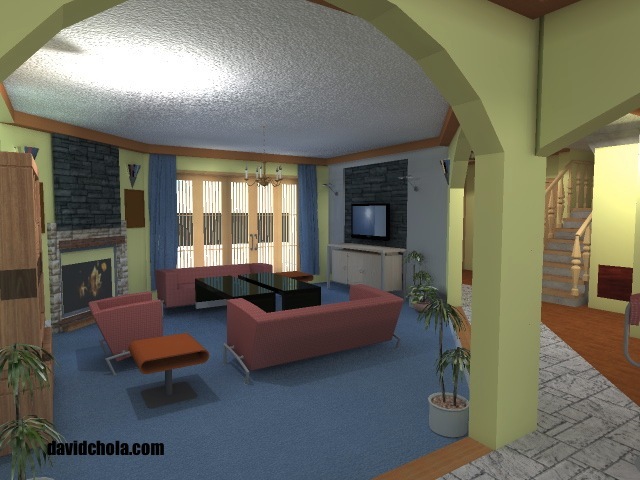 The epitome of the ground level shall be the sunken living room, replete with its mazeras cladded fireplace. A feature wall also graces the entertainment unit and adds character to the overall view of the living room. Floor finishes on this level shall include timber HDF flooring interspersed with carpet areas with high quality ceramic floor tiles in wet areas and kitchen. 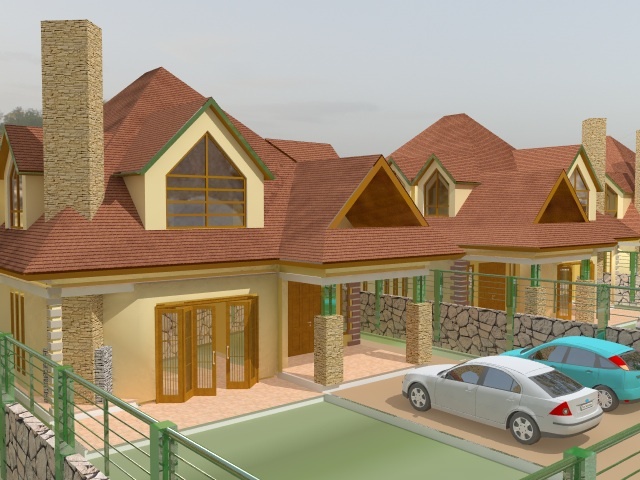 On the upper level, these four bedroom maisonettes offer three ensuite bedrooms upstairs including a large ensuite master bedroom with an adjoining walk in dresser, with a lovely terrace above the entrance. Floor finishes in these rooms shall typically consist of wood based finishes such as timber parquet. Talk of a lavish dream home where the family is well provided for! At the ground level, an additional ensuite guest bedroom is tucked away in a private corner of the dream home. This can double up as a private office within the residence should one wish to create an home office. The outbuildings that shall be constructed in addition to the main house is the domestic servant quarters. A covered laundry area adjacent to the kitchen yard at the rear shall offer space for utility work. The Shania Villas shall be enclosed with electric fencing along the main boundary wall. The demarcations in between the units shall be defined by green plants on chainlink fencing to enhance the country look of the homes. 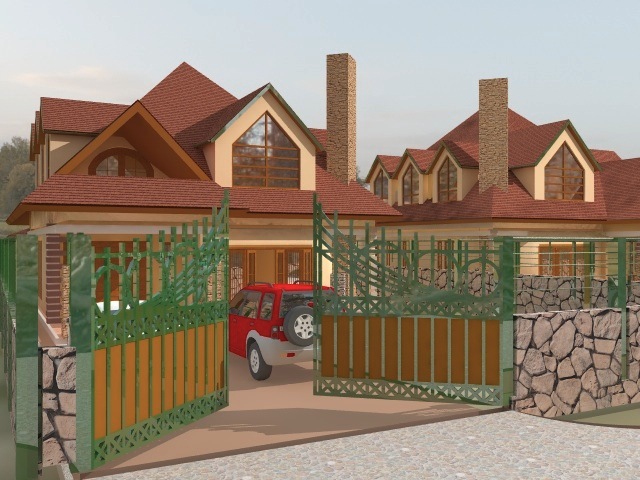 While each home shall have a gate entrance, access control shall be ensured via a guardhouse right at the entrance of the court. Shania Villas shall be well serviced with electricity and adequate borehole water supply. However the units shall enhance their sustainability through the use of solar water heaters that shall be installed. Underground water storage tanks shall store water, with rain harvested water also being stored and channeled for grey water usage on site. Waste disposal through septic tanks shall be recycled for grey water usage such as landscaping and general maintenance and non potable usage. This shall be recycled through a system of filtration and oxidation to ensure that water recycled through it is highly treated even above recommended standards. At a pricing of just KES 9 million, living in your dream home is no longer a pipe dream but can actually be realized. Book one today, contact us and allow your desire to buy your dream homes be fulfilled.